An exceptional Luxury six bedroom house on a two acre site with Sea Views, located close to the picturesque coastal village of Easkey and within minutes drive of the peaceful Village of Rathlee. The house boasts an extremely high specification with all fixtures to the highest quality. There is also a very large Double bay Garage which could be used a Workshop/Office or converted into another Living Space. 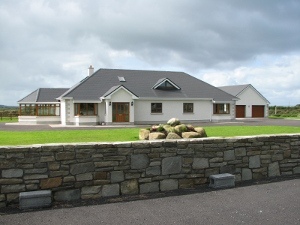 Rathlee Village is a small and peaceful village comprising of the local Church, Shop and Post office, convenient to both Easkey and Enniscrone- home to a 5 mile long Beach. Easkey Village is small but diverse, and has all the services and amenities that one requires in the 21st Century - Daily bus services, Primary and Secondary Schools, state of the Art Health Centre, Indian Cuisine Restaurant, a selection of both Traditional and modern Pubs, Butchers, Grocery Shops, Post Office, Churches (Catholic and Protestant) and a Surfing Tourist Office. Roslea Castle - a famous landmark in the area built in 1207 stands at 63ft and towers over the majestic Atlantic Ocean. Easkey Bridge - Built in 1847 and overlooking the Easkey River. The Easkey River is one of the most beautiful natural assets in the area. 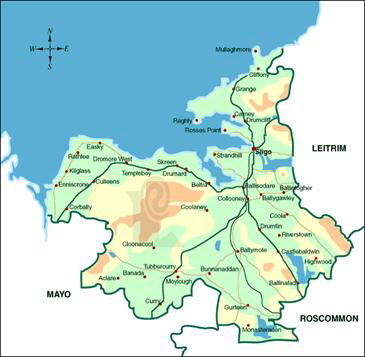 The name derives from the Gaelic meaning "Fish River". The River is renowned and loved for its Salmon and Trout waters and offers some of the best Wild Salmon Fishing in Western Europe. The ideal months for Fishing for Salmon are July, August and September. A licence is required from the North West Fisheries Board. Easkey not only has the Beautiful Easkey River, but it also is located directly on the Shores of the Atlantic Ocean. The area is World Renowned for its Surfing and Kayaking, and Easkey hosted the World Sea Kayak Championships in September 2003. As you can see, Easkey offers the perfect tranquil environment for Water side living with all the benefits of services and amenities close at hand. Solid Wood Kitchen with separate Fitted Utility room, appliances included: Dishwasher, Fridge Freezer, Washing Machine, tumble Dryer and Large Gas Range Cooker. Hardwood door with glass panels. 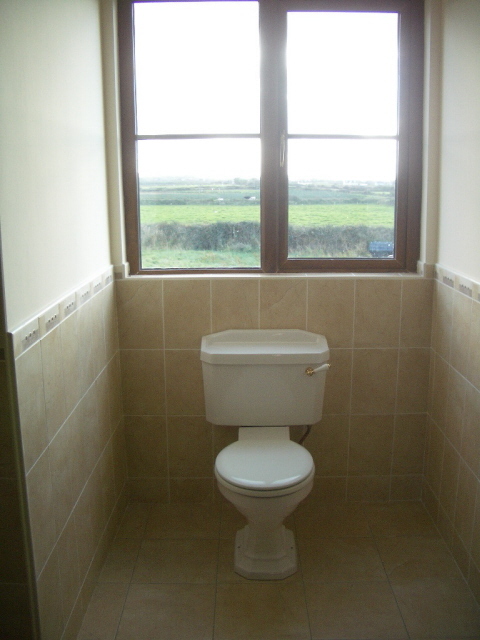 Open plan with hallway.Porcelain tiled floor. Separated from entrance porch by scrolled archway. 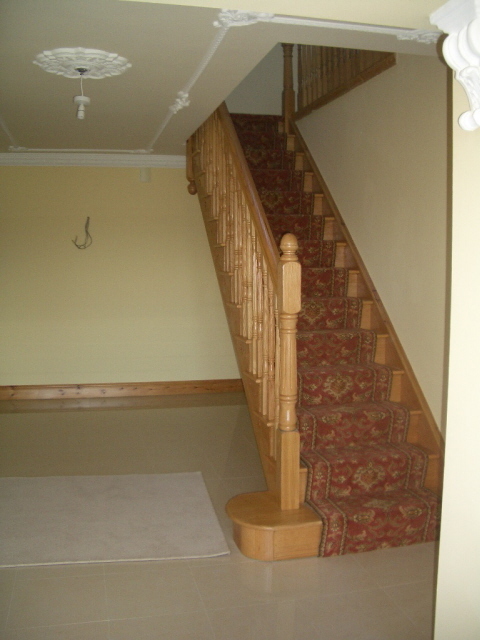 Hardwood stairs and banisters. Coving, ceiling roses and decorative plaster moulding. Polished porcelain flooring throughout. Open plan with sun room. Three wall lights, TV, telephone, ceiling rose, coving and decorative mouldings. 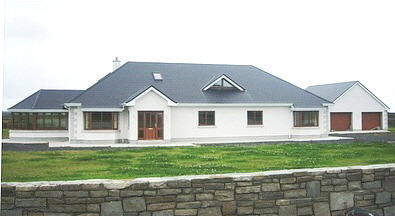 Fully Glazed room to maximize the beautiful country setting including Nephin Mountain, Atlantic Ocean, woods and fields. A large and spacious front-facing room with specially imported contoured tiling and large bay windows. Exceptional Solid Wood fitted kitchen, tiled floor, French windows to rear garden, coving and decorative moulding. Complete with Dishwasher, Fridge Freezer and Large Gas Range Cooker with extraction. Fitted units with Tumble Dryer and Washing machine included. Large bay window to front and window to side. TV, telephone, coving. 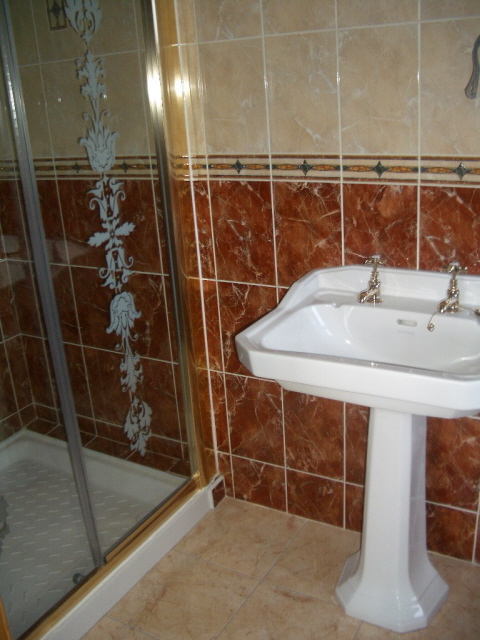 Beautifully tiled room with white, quality sanitary ware. Open shower cubicle. Window. Luxury Carpet and Fitted Walk-in-wardrobe, ensuite, TV, telephone. The total site area is two acres which has been top soiled and lawned . The very large garage is located to the side and there is a Tarmaced driveway leading from the entrance to both the house and the garage. The boundary to the lane is marked by a natural stone wall.